4k00:16Confident business entrepreneur man young businessman looking to the side portrait against city office brick wall background. Smiling caucasian male professional in smart casual jacket. 4k00:12Man using phone - Smiling businessman using smartphone. 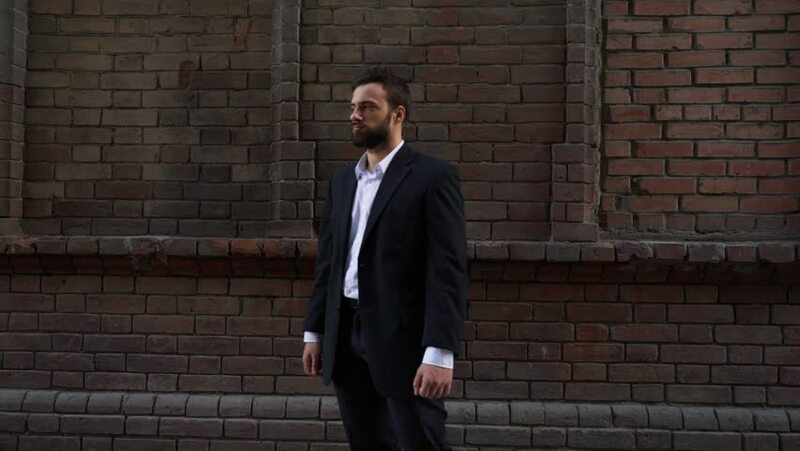 Thinking male professional looking away while standing against brick wall wearing smart casual business attire. Slow motion.